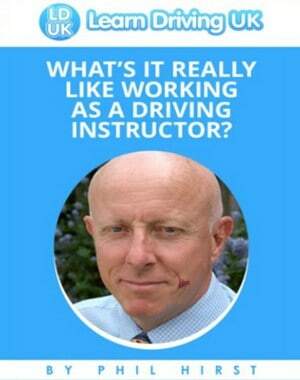 You will be prepared and ready for all three tests with the Phil Hirst Driving Instructor Training Programme. You can take the part 1 theory test as often as is necessary to pass. However, you are only allowed three attempts at each of the ADI part 2 and part 3 tests. You’ll have to restart the process if you use up all your attempts or if it’s more than two years since you passed the ADI part 1 theory test. You will be tested on a wide variety of driving, learning and teaching-related matters. The test costs £83. You must have been accepted to start the qualifying process by the Driver and Vehicle Standards Agency (DVSA) before you book the ADI part 1 test. A Disclosure and Barring Service check is mandatory for Driving Instructors. You must pass both parts at the same time to pass the test. There’s no limit to how many times you can take the test. You can take the test in English or Welsh. You will be assessed on your driving ability on a variety of roads and conditions and when manoeuvring in a tight space. It’s the second of three tests you must pass to qualify as an ADI. The test costs £111. You must pass the ADI part 1 test before you book part 2. This is a test of your ability to instruct and it lasts an hour. It’s the last of three tests you must pass to qualify as an ADI. Currently, you would be assessed by an examiner who role plays two pupils at different stages of driving ability. *The format of the test will change soon requiring a candidate to teach a “real”pupil for one hour. The examiner would observe and assess from the back seat. For more details of the changes contact Learn Driving UK or DVSA. The test costs £111. You must pass the ADI part 2 test before you book part 3. You can apply for your first ADI licence and join the ADI register when you pass the test. You will benefit from plenty of help during your study for the part one test. You receive guidance and support in the form of a Part One Study Guide and DVSA-recommended books and DVD. In-car training will bring the theory to life. Cutting corners at this stage could lead to problems during part three. Many trainees simply practice answering questions. A detailed knowledge of the theory is vital as a strong basis for a successful career as an instructor. For part two, you benefit from twelve hours of in-car tuition to place you in the top 1% of drivers in the country. You may have a lot of driving experience but will probably have developed some incorrect driving habits. Driving techniques have changed a lot over the years and so you will need to be brought up-to-date to pass this advanced driving test. You’ll benefit from extensive instructor training (forty-five hours) and this is where one-to-one training really makes a difference. Sharing a car with other trainees is not a smart move. You would be diluting your training experience rather than maximising your time. You need, and will receive, our full attention.